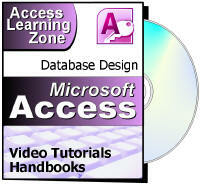 This Microsoft Access video tutorial picks up where Level 8 left off. This class covers tracking a contact history for your customers. We will also spend a lot of time on designing reports from scratch. This class picks up where Level 8 left off. We will focus primarily on tracking a contact history for your customers and designing reports from scratch. We begin by setting up a contact table and a simple contact form for data entry. We will discuss data integrity and how poorly entered data will make a mess of your database. Next we'll create a contact query. You'll see how to hide duplicate fields with the Show Box. We'll generate a list of contacts from one specific date using an inequality, and we'll discuss how the BETWEEN keyword isn't always the best thing to use. You will learn how to declare explicit query paramters. Next we'll begin building a contact report from scratch. The built-in report wizards and quick-report creators will only get you so far. You'll learn about the page header and page footer, the detail section, print preview, problems with the layout view, and how to remove the borders from around a text box. You'll learn how to set your report in portrait or landscape view, set the margins and paper size, add horizontal lines, and how to print your report. Continuing on with our contact report, you'll learn how to use the Can Grow and Can Shrink properties to make sure the proper amount of space is reserved for your fields. You'll learn about String Concatenation to take two fields (such as First Name and Last Name) and put them together into one. You'll learn what the Trim function does. Finally, you'll learn a ton of different report formatting techniques, including changing the alternate row background color (or removing it), HTML color codes, line thickness, line type, section background colors, the difference between the page header/footer and the report header/footer, how to set up page numbering, and more. Why not use a Memo field? Bring in All Fields "ContactT. *"